Steve Jobs, 1955 - 2011.Moments ago, I found out that Steve Jobs has passed away at the age of fifty-six. I was moved by this news far more than one might expect, considering I never met the man. I'm typing this on my Apple MacBook pro, listening to a song on iTunes via Apple TV, sitting next to my Apple iPhone. Obviously, the work of Steve Jobs has had a huge impact on my life. But beyond the fancy gadgets created by Mr. Jobs and his team, I've been greatly influenced by the legendary leader of Apple as a human being. His vision, entrepreneurship, passion, determination, and his flair for innovation - these are all traits I have cultivated in my own life and career by following his example. I learned from Steve Jobs the power of focus. From his iconic dad jeans and black mock turtleneck to the sleek black beauty of the iPhone that never leaves my side, Jobs' minimalism allowed him to zero in on the things that were most important to him, in his work and in his life. Steve taught me that less is more. Apple has an aesthetic that brings to mind the words of Antoine de Saint-Exupéry: "Perfection is achieved, not when you have nothing more to add, but when you have nothing more to take away." My phone doesn't have a blinking light to let me know when I missed a call. There's no logo on the front. It just sits there until I need to use it. Sometimes the killer app is no app at all. It is easy to lampoon these high-end products as overpriced toys for elitist yuppies, and their marketing as ridiculously self-important, almost messianic. But...moments ago, in the dark, I pressed a little button on my keyboard that turns on a tiny light under each one of the keys. No instruction manual was necessary. These intuitive, human touches give Apple gear a remarkable elegance. It's a unity of form and function you find in well-made musical instruments. Design matters. Music matters, too. From the time I was about ten, I loved how a Sony Walkman and a great cassette tape could make a moment go from banal to cinematic the moment I slipped on my headphones. I'll never forget an evening when I was about fifteen, riding the school bus back from some event or other in the darkness of rural Maine and seething over some perceived injustice regarding an unrequited crush and a disloyal friend in a seat nearby. But I had "She's a Rainbow" and "Remember" and the chance to create my own narrative about this moment and my sure-to-be-amazing future. Then there were the good times in the kitchen at Bosch Baha'i School where Dave, Sarah, Jessica, Jesca and I would take turns pulling from our gigantic faux-leather binders of compact discs to share music with each other as we prepared meals for the guests and cleaned up after dinner. The Color and the Shape by the Foo Fighters will always remind me of those California nights. All those CDs skip now, and my old mix tapes are worn thin. It hardly matters - largely because of Steve Jobs. Finding the right song for the right moment is as easy as a couple clicks or swishes (my husband makes a game of how few characters he can type into iTunes and find his song). Jobs changed the course of his company and an entire industry with the iPod, banking on the personal connection that people have with their music. I'm not a teenager anymore, but I can still feel like one anytime I want to. And since my entire career revolves around music, it's highly validating to see just how important it still is to people, as measured by the success of iTunes and the iPod. 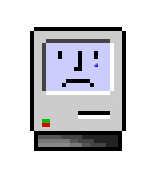 As a CEO, Jobs was not only a visionary and a lovable geek but also a perfectionistic egomaniac and an FTC-baiting bully. But when I'm unsure of the next step to take with my own business, I look to leaders like Steve Jobs to remind me that dedication to something you believe in is more important than being liked or being comfortable. Pursuing a challenge means risking loss and disapproval, but sometimes it's gotta be done - especially when the alternative means a compromise that pleases no one. For the past 33 years, I have looked in the mirror every morning and asked myself: "If today were the last day of my life, would I want to do what I am about to do today?" And whenever the answer has been "No" for too many days in a row, I know I need to change something...almost everything - all external expectations, all pride, all fear of embarrassment or failure - these things just fall away in the face of death, leaving only what is truly important. Remembering that you are going to die is the best way I know to avoid the trap of thinking you have something to lose. ...Your time is limited, so don't waste it living someone else's life. Don't be trapped by dogma — which is living with the results of other people's thinking. Don't let the noise of others' opinions drown out your own inner voice. And most important, have the courage to follow your heart and intuition. They somehow already know what you truly want to become. Everything else is secondary. Thanks, Steve. You have been a great teacher and a profound inspiration to me. My heart goes out to your family. Peace.